Fortunately, Wisconsin is a relatively free state when it comes to guns, and there are only a few laws that you’ll need to worry about when you’re out defending your freedom. We’ve got everything you need to know about how to buy a gun and be a responsible gun owner in the Badger State! Wisconsin State Flag. Badger included. While the process for purchasing a handgun is not as simple as walking in to your local gun store and picking one off the shelves, no permit is required to buy one, and there are only a few steps to follow in order to take a shiny new pistol home with you. If you’re buying the firearm from a private seller, instead of a licensed firearms dealer like the one at your local gun store, you can skip the background check step completely! You might miss out on that new-in-box smell, and maybe some of the cool freebies that come with a brand new gun purchase, though. When you’re deciding to buy a gun, don’t chicken out and get a replica. Not only is it pretty lame, but you might be taking part in a crime! It’s actually illegal to sell or distribute “look-alike” firearms, which means any imitation of a firearm manufactured and produced after 1897, and includes toy guns, water guns, non-functioning replicas, or air-soft guns firing non-metallic projectiles. Like any law, there are exceptions, of course. Traditional bb, paintball, or pellet-firing air guns expelling projectiles through air pressure do not fall under this law. For those of you into antique firearms, not to worry! Non-firing imitation replicas of antique firearms developed before 1898 do not fall under this law, and restoration of any look-alike firearms is legal as long as you have a license to collect firearms as curios and relics. 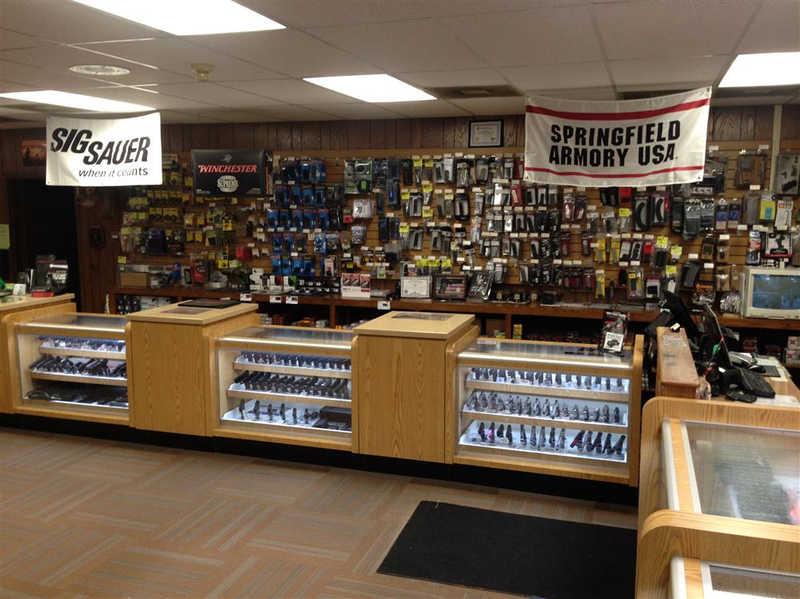 While you’re out buying a handgun, you might as well pick up a rifle to go along with it! Like with handguns, no purchase permit is required. The process for buying a long gun is almost identical to the steps for a handgun. In fact, the requirements are even less restrictive. Just like with handgun purchases, you can skip the background check if you are buying from a private seller, and save yourself a little time. 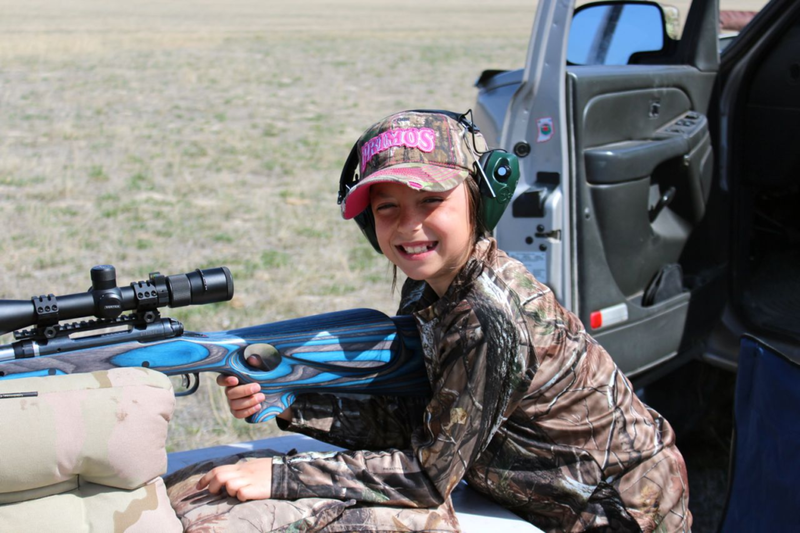 While you can’t legally purchase firearms if you are under 18, that doesn’t mean you have to miss out on all the fun. Just make sure you follow the rules, and you can pew pew just like everyone else! Target shooting or taking a firearms training course. Are out hunting, or taking a hunter safety course. Once you’ve got your firearms in hand, you’re ready to show them off! Wisconsin allows for open carry of firearms without any type of permit, so make sure you’ve got a holster ready the minute to pick up your new pistol! Concealed carry is handled differently in the state, however, and does require a permit, so you’ll have to go through additional steps for that. Those of you interested in getting a permit can check out our Wisconsin CCW Laws section after you finish up here to find out what you need to do to get a CCW permit, and also learn about the additional laws to be aware of when carrying concealed. No matter how you’re carrying, though, always remember it is illegal to have a firearm within 1000 feet of school grounds. Some other places, like courthouses, and jails, also prohibit firearms, regardless of open or concealed carry. Basically, if there are metal detectors at the entrance, it’s not a place for your pocket rocket. Having your guns with you in a vehicle isn’t too different from carrying them while you’re walking around town, but you’ll need to make sure that any handguns you have must be clearly in the open. 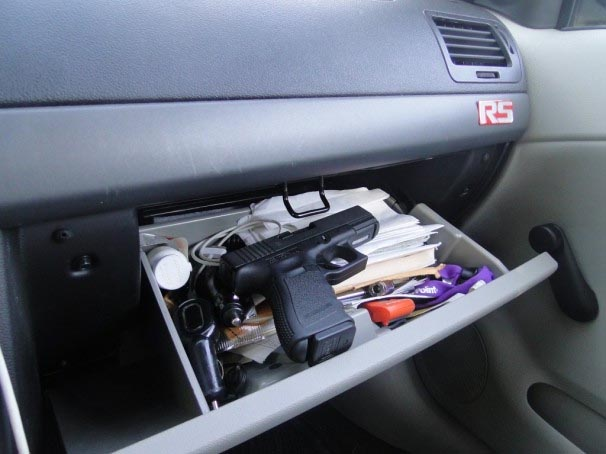 A CCW permit is required if you decide to conceal a handgun while in the vehicle if the handgun is within reach. If you want to keep your handgun in a case in the back while you’re driving to the range, or just to keep it from sliding around the front passenger’s seat, that would not require a CCW permit. Without a CCW permit, your best bet is to have your pistol clearly visible or locked away in a case. Anything else in between is just asking for trouble! Better keep that glove compartment the whole time! Transporting long guns is a completely different story when compared to handguns. Thankfully, it’s very simple. Long guns cannot be loaded when in a vehicle. No ifs, ands, or buts. Long gun in the car? Unloaded. It doesn’t matter if you want to keep the rifle or shotgun up front with you, or hanging out in their own fancy gun cases in the trunk, as long as they are unloaded and remain that way the entire time they are in the vehicle. Aside from being pretty useful at the whole hunting thing, guns are also pretty handy in self-defense situations. 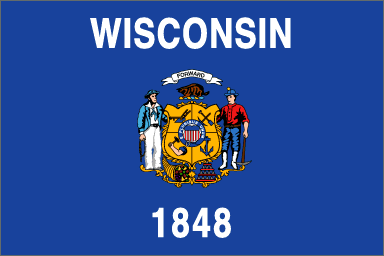 As a gun-friendly state, Wisconsin has both a “Castle Doctrine”, and a “Stand Your Ground” law. While a man’s home is his castle, Wisconsin thinks your castle is also your motor vehicle, or place of business. This means that you are allowed to use deadly force if you reasonably believe it is necessary to prevent imminent death or great bodily harm to yourself, while at home, in your vehicle, or at your place of business. It is also important to note that as long as someone is unlawfully and forcibly entering, or already has unlawfully and forcibly entered any of these places, and you reasonably believe deadly force is necessary to prevent death or great bodily harm, your use of deadly force is considered justified. Any other situations would require the judge or jury to decide at trial whether it was actually reasonable. Of course, bad guys don’t always wait until you’re at home, in your car, or at work to try and harm you. Luckily, Wisconsin recognizes this as well, and has a “Stand Your Ground” law. Like all “stand your ground” laws, you are essentially allowed to defend yourself, without being required to flee or retreat. Specifically, as long as you reasonably believe deadly force is necessary to prevent imminent death or great bodily injury, it does not matter if you had an opportunity to flee or retreat before using the deadly force. However, since you aren’t at home, in your vehicle, or at your place of business in a “stand your ground” situation, you and your lawyer will have to work a little harder to show that it was reasonable for you to use deadly force in that situation. But then again, it’s better to be judged by twelve than carried by six. It’s helpful to remember that just because you do not have a duty to retreat does not mean you must engage the threat and use deadly force. Sometimes the situation may call for a retreat for the safety of yourself and others around you. Always use your best judgment when deciding to use deadly force. That’s all you need to know about Wisconsin gun laws! Well, almost! Don’t forget to check out our Wisconsin CCW laws section too! While you’re out buying that brand new AR-15, don’t forget you’ll need to keep it somewhere safe! 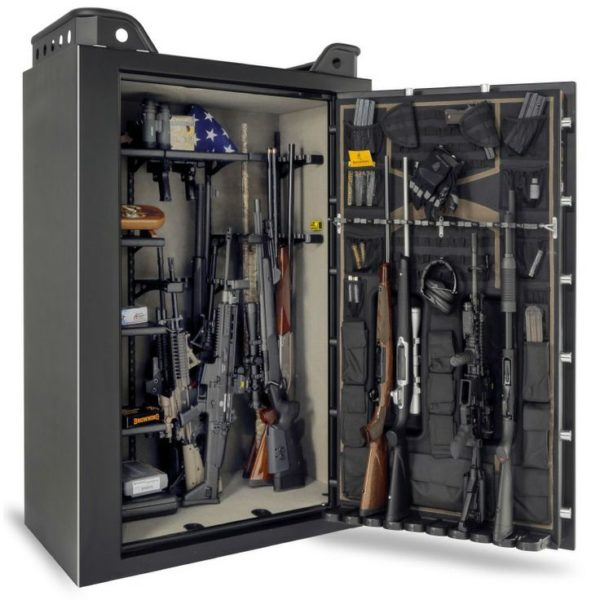 Wisconsin does not have any specific laws on storing firearms, but for those of you with children, or just want to keep your gun collection locked away when you’re out of the house, a strong safe or inexpensive gun cabinet will do just fine. If you’ve only got a couple handguns, then a handgun safe may be all you need to keep your shiny toys away from the bad guys while you’re out of the house. Hopefully, though, your firearms never spend too much time hanging out in whatever safe you decide to buy, and are out with you at the range or doing some hunting instead!